Muscular dystrophy (MD) refers to a group of muscle diseases that weaken the muscles that move the human body. It is specified as a genetic disorder that gradually weakens the skeletal muscles. It is caused by incorrect or missing genetic information that prevents the body from making proteins needed to build and maintain healthy muscles. We posted an article previously entitled "PYRO-ENERGEN Treatment Against Muscular Dystrophy" . Yes, we receive several information as well as results from users of the PYRO-ENERGEN machine. As we already mentioned in our previous article, modern medical scientists believe that muscular dystrophies are within a group of genetic and hereditary muscle diseases, characterized by progressive skeletal muscle weakness. Based on our research and observations, muscular dystrophy is neither genetic nor hereditary. Scientists claim that muscular dystrophy is caused by mutations of the gene for the dystrophic protein. However, the PYRO-ENERGEN group believe that this dystrophic protein is a byproduct caused by the disease. Truly, the disease is caused by the negative energy existing in 5th dimension (see https://www.pyroenergen.com/causes.htm ). 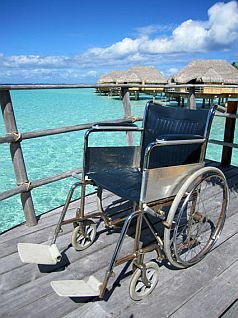 It is the main reason that there is no known cure available by modern medical science for muscular dystrophy. 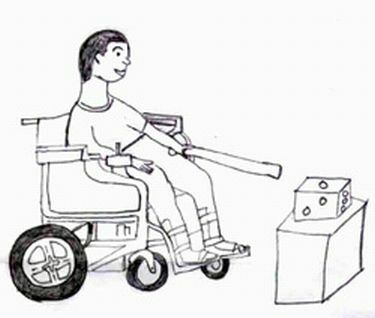 There are several kinds of muscular dystrophy—Duchenne Muscular Dystrophy, Becker's Muscular Dystrophy, Limb-girdle Muscular Dystrophy, Emery-Dreifuss Muscular Dystrophy, Facioscapulohumera Muscular Dystrophy, Oculopharyngeal Muscular Dystrophy, and Japan's Fukuyama Congenital Muscular Dystrophy and Minamata disease. However, there are no congenital cases in our studies, and almost all excepting Minamata disease have just the same cause and origin—the negative energy. The PYRO-ENERGEN is the only latest answer for the disease. Although the PYRO-ENERGEN can stop the development of dystrophies within days or weeks, once you are affected by the disease and deformation of the muscle is observed, your physical appearance may remain as is. For that reason, we recommend the PYRO-ENERGEN therapy when you are healthy or in early stage before signs of muscular dystrophy appear. Physical therapies like muscle exercises DO NOT heal muscular dystrophy at all. We recommend you to use the PYRO-ENERGEN therapy to prevent and heal muscular dystrophy. Once again, the PYRO-ENERGEN does not restore the deformity of the body once the patient is affected by the disease. However, the PYRO-ENERGEN therapy can stop the progress or worsening of the disease. Finding the disease at its earliest stage is very important. Once you are diagnosed, we recommend you to use the PYRO-ENERGEN to stop the progression and worsening of the disease immediately. We notice that most users of the machine had hesitated to believe in the use of PYRO-ENERGEN. When the patients began to have difficulties to move, eat, breath, walk, to the point where their internal organs are affected, then people start to believe in PYRO-ENERGEN theory. Yes, you can see progress and improvement in some physical and mental difficulties with the PYRO-ENERGEN therapy. However, once again, you may see no recognisable recoveries in physical deformities. What you can see remarkably is that the progression or worsening of the disease will stop. Now, isn't that's what the world is searching for? Cure.